Born and raised in Tehran, Iran, Arash Moshkforoush grew up with a passion for a combination of mathematics and understanding the complexity of the human brain. 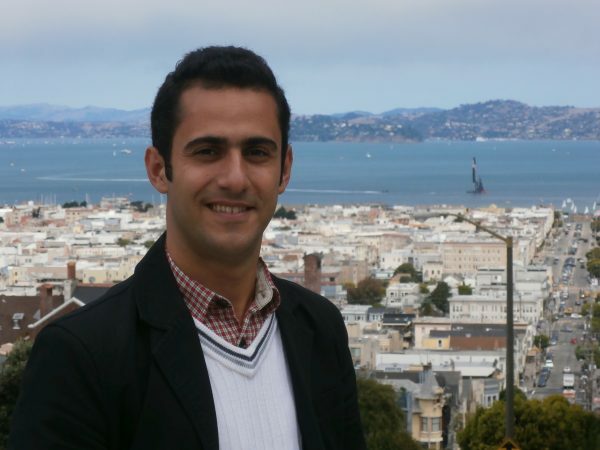 Before pursuing his Ph.D. in biomedical engineering in the United States, Moshkforoush attended Sharif University of Technology—one of the most renowned engineering schools in Iran. There, he earned both his bachelor’s and master’s degrees in materials science and engineering with a focus on biomaterials. Because of the quality of graduate education and technological advancements in the U.S. Moshkforoush decided to continue his education in the United States. Moshkforoush wanted to combine his interests in physiology, mathematics and physics, and use cutting-edge engineering approaches to help improve human health. Despite offers from University of Oklahoma, a joint program between Umea University and University of California at Berkley, and University of California Riverside, Moshkforoush ultimately decided to attend FIU. Moshkforoush’s Ph.D. project, in collaboration with the Department of Pharmacology at the University of Vermont, focuses on understanding how neurons effectively communicate with blood vessels in the brain to deliver oxygen and nutrients to areas with high activity. This process is disrupted in a variety of pathological conditions including Alzheimer’s disease, stroke, and vascular dementia. The research involves understanding the interactions of various molecules at the cell level, and their integrated response at the tissue level resulting in the control of blood flow in different areas of the brain. Moshkforoush also works in collaboration with the mathematics department at the University of Minnesota which entails developing a mathematical method for the analysis of cortical spreading depression, a phenomenon closely related to migraine. Using this method, one can estimate the location, as well as the shape, of current sources from the brain during different neurological conditions. His work has recently been accepted for publication in the Journal of Neuroscience Methods. The goal of Moshkforoush’s research is to understand the underlying mechanisms of physiological phenomena that are directly involved in various neurological disorders. Acquiring such knowledge would aid in the development of pharmacological manipulations aiming at treatment/prevention of these disorders. Moshkforoush and his team hope to develop a mathematical framework where such diseased states, and the effect of potential treatment strategies can be tested and analyzed. “We hope to have a positive contribution, however small, towards this goal,” said Moshkforoush. Aside from conducting impressive research, Moshkforoush has also dedicated his time as a teacher’s assistant at FIU. He served as a TA for more than 10 semesters. During this period, he had the privilege to work with hundreds of undergraduate and graduate students. In 2017, students and professors nominated him for the UGS Provost Award for Outstanding Teaching Assistant, and he was awarded the prestigious recognition. 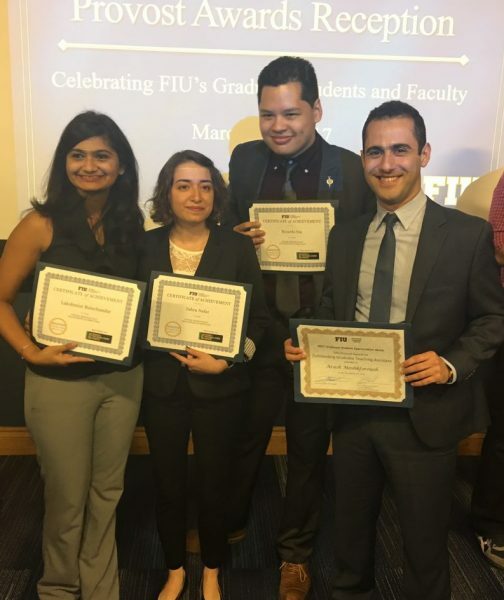 In addition to Moshkforoush’s research contributions, and dedication towards students’ academics, he is involved in FIU’s Ping Pong A team. 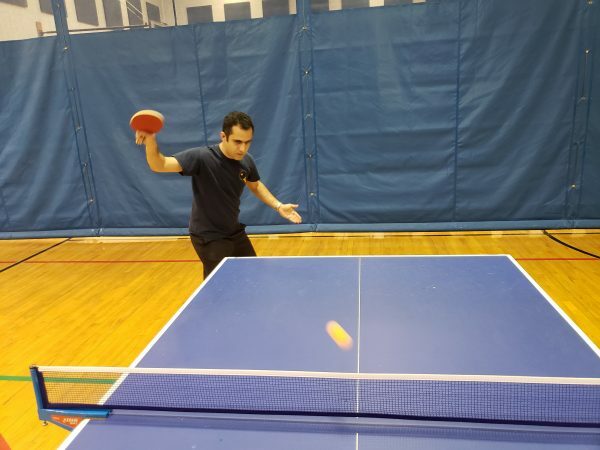 For the past three semesters, Moshkforoush, along with his team, have participated in the regional qualifications for the National Collegiate Table Tennis Association (NCTTA) tournaments in South Florida. He is also part of the FIU pool team. He put his skills to the test, and won first place in the university-wide qualification round for the regional ACUI 9-ball competitions in October 2017. In the regional ACUI 9-ball tournament for the state of Florida, held in March at FIU, he received the 2nd place. There, he qualified for the National Collegiate ACUI 9-ball tournament, which was held this May at Purdue University in West Lafayette, Indiana. We are lucky to have him here at our FIU!